President Donald Trump is "gonna take a machete to essential investments in our communities," declared U.S. Sen. Patrick Leahy (D-Vt.) during an event Friday in Burlington. Trump has yet to unveil his budget blueprint — that is scheduled for March 16 — but he could cut $54 billion across federal agencies, including a quarter of the Environmental Protection Agency's funding and 20 percent of its staff. 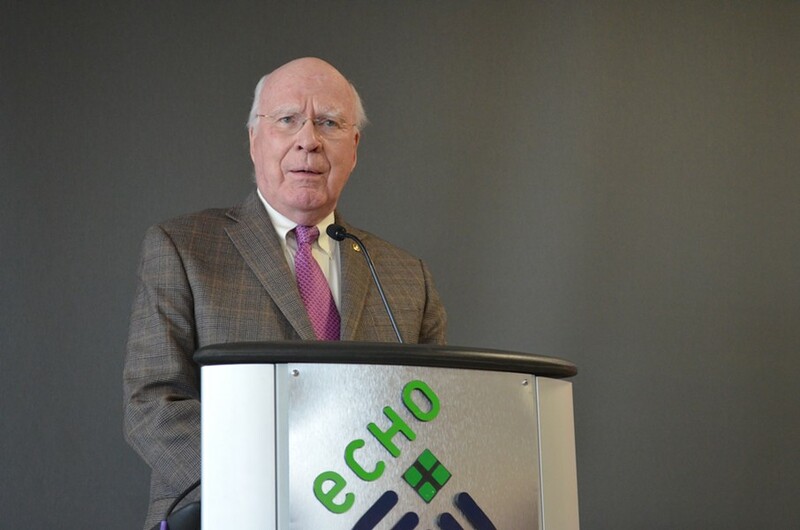 Vermont's senior senator stood Friday with more than a dozen of the state's environmental leaders at the ECHO Leahy Center for Lake Champlain on the Burlington waterfront and detailed just how devastating such cuts could be for the Green Mountain State. "The Trump administration's plan for the EPA would eliminate funding for Lake Champlain," Leahy told the crowd. Julie Moore, secretary of the Agency of Natural Resources, later elaborated. The state has been assuming the feds would pick up a third of the $2.3 billion tab to help reduce pollution flowing into the lake during the next 20 years. Her agency's Department of Environmental Conservation relies on EPA dollars to pay for 40 percent of its programs and fund a third of the department's staff. Losing EPA money would also decimate the Lake Champlain Basin Program, which gets the majority of its funding from the agency. Also at stake: United States Department of Agriculture grants that funded $150 million in rural projects in Vermont last year, such as affordable housing in Newport and high-speed internet in Craftsbury. 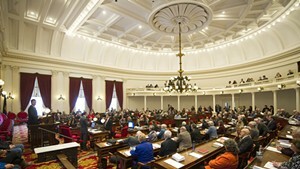 One by one, environmental representatives came to the podium to outline the potential losses — large and small — at both private and public institutions. The University of Vermont's Rubenstein School of Environment and Natural Resources, for instance, could lose more than $1 million in research grants. David Grass, environmental health surveillance chief at the state Department of Health, said the EPA gives his department $110,000 each year, which allows them to help Vermonters test for the radioactive gas radon. About 50 state residents die each year from lung cancer caused by radon, according to Grass. "That EPA funding is critical in saving lives in Vermont and preventing lung cancer," he said. Leahy, though, pledged to fight the cuts. "It's going to be a battle," he said.